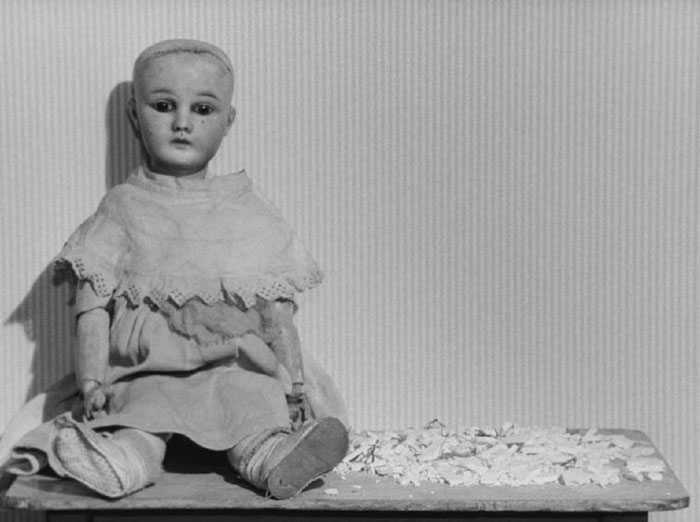 Borowczyk’s signature work, Renaissance features a wrecked, handmade objects gradually reconstructing themselves into a still life composition before exploding once more… Dedicated to Hy Hirsh (the American photographer, cameraman and abstract filmmaker who died prematurely of a heart attack in 1961), the objects (which include a doll, a stuffed owl, a trumpet etc.) in Renaissance serve as a concentrated microcosm of a larger, off screen drama. A frequently humorous and sometimes ominous sound track (not to mention a brief flash of colour) make Renaissance one of Borowczyk’s most perfect films.